Every season brings it’s own rhythm and requests and spring is a welcome change after winter. Windows are flung open, my foraging basket gets used again and the window boxes demand attention. My little Irish cottage suddenly looks a bit more cheerful from the outside and it calls for mornings spent sitting on the bench watching the sun rising over the mountain. 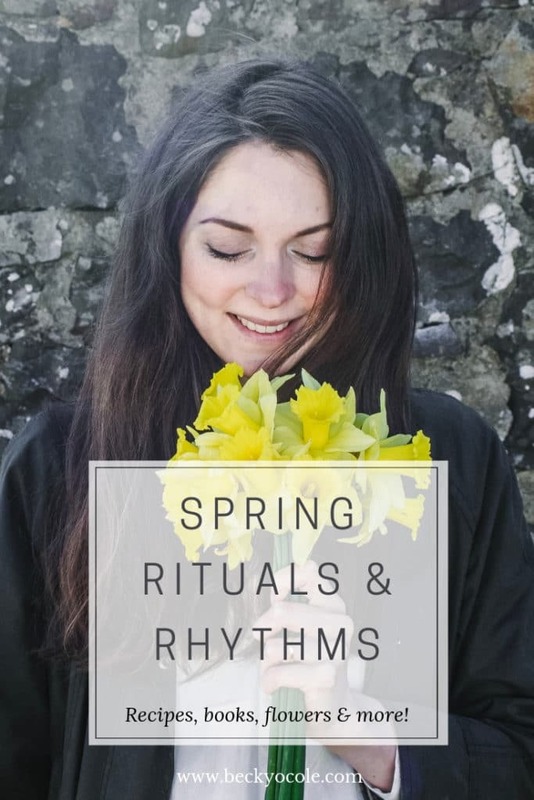 One of my favourite rituals of Spring is utilising the mornings and evenings. Suddenly with it so much lighter I find myself waking with the sun, listening to the slowly increasing dawn chorus (it reaches it peak in May) with a cup of hot tea in my hand and peace throughout the house as everybody else sleeps. I haven’t yet motivated myself to do much more than that with these Spring mornings, but come summer I know I will want to get out of bed and go for an early morning walk, with our cat running behind me and the chance to gather my thoughts. The evenings bring similar appeal, although I find myself more energetic. I have been working away on my spring containers which live right outside my front door. I usually have an array of plants in these; From pretty annuals, herbs to edible flowers. I confess I prefer the more practical plants which not only look pretty but also supply me with decoartion, remedy and flavour. This year I have a few edible flowers, viola, forget me nots, dianthus (gosh I love that smell!) daisies as well as thyme and bay. I have some pelegorniums waiting to join them once the weather gets a bit more consistent. Other gardening plans include my edible/wild polyculture garden, which is sadly looking a bit neglected. As I have become larger and larger (I’ll probably have a new baby by the time this podcast is released) I have slowed down and struggle to get much done especially in the form of weeding and digging. But never mind, I have contented myself with front door gardening and seed sowing this spring and have my father in law kindly working away on some lovely raised beds. I have planted quiet a lot of edible flowers-cornflowers, violas, calendula, nasturtiums, sunflowers and will be planting these out in the beds alongside some alpine strawberries and perennial veg. I have no doubt that while my garden project wont be as actualised as I would like this year, it will still come to life although maybe a little later than initially planned. In contrast the other big gardening project on the farm is looking like it will be a bit incredible! My husband Charlie has prepped and rotavated a large portion of field to dedicate completely to hardy veg. If it works out we should certainly have our fill of fresh vegetables throughout the seasons! We’ve also both been working away on our two polytunnels. These are looking wonderful and one side of the first poly tunnel is already carpeted in green seedlings and off to a wonderful start. AS we are rotating crops around this year the tomatoes will be in polytipnnel number two and we have been moving around their supports getting ready for them. I couldn’t believe how many fruits we had from the crop last year and it kept producing until late October too! So worth will the effort of nurturing those little seedlings! While the veg garden and edible flowers slowly get going I have been obsessed with primroses this year. Easily one of my favourite flowers (a keen runner up is dandelion, hardly very glamorous but beautiful in my eyes!) primroses are just so perfectly sweet and pretty and as they are also edible I have been using them to crown many of our cakes that we sell in our farm cafe. We have a few colours here in the garden, yellow, pink and a dark plummy pink too. They spread like crazy each year and I, being the lazy gardener that I am, let them do so and take great pleasure in their beauty. Moving onto our Spring bookshelves, well as you already know I’m a complete book addict and so one of the first things I do when this season changes is to swap my toddlers book shelves around. In this case from winter to Spring. This means favourite books that reflected winter are now changed out for books that teach about Spring and nature at this time of year and topics which are seasonal. This little ritual has become a real favourite of mine and I eagerly await the time that I can start packing away an old season’s reads and swapping them out for a fresh batch. I’ve also indulged in some new books (or should I say rather a lot!) 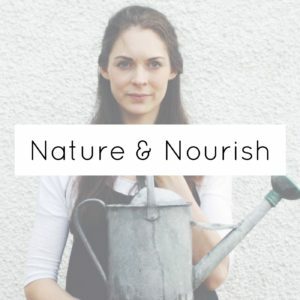 as some of you will already know I have a monthly natural living book club over on my FB group Nature and Nourish and so far we’ve read Flower Evolution-a book all about using flower essence. Flower evolution has been a great excuse to give flower remedies another go and I purchased a few from Bach flower remedies to try out. If your interested in learning about them I have. I have a post reviewing the book and also giving a few facts and tips of starting with flower remedies. I’ve also been reading a ton of gardening books recently as I dream about my ideal garden. My firm favourites are Alys Flowlers Edible Garden, What Plant Where by the RHS and Joy Larkcom’s Creative Vegetable Garden. These almost always come to bed with me at night and keep me awake for many hours as I plot and plan the season ahead. Now as spring and cleaning are so synonymous I have also been reading a new release on the subject of natural cleaning by Becky Rapinchuk called Clean Mama’s Guide to a Healthy Home: a simple room by room plan for a natural home. I thought this would make a great choice for the spring book club as it’s full of natural cleaning recipes and something that I am really passionate about too. Going natural with cleaning products is actually a lot easier and effective that you might think and so much healthier for you! If this topic sounds interesting to you then make sure you join the Nature and Nourish FB page to follow along and also check out my podcast episode on the subject too! On the subject of a natural home I must share my favourite scents with you. Now, While I don’t have scented candles in the kitchen, elsewhere in the home I have been loving the spring seasonal blends by The Smallest light. Her Return to Green candle is scented with geranium, lavender and neroli and really does evoke the freshness of a springs day. When Im not enjoying these I do like putting on my diffuser and at this time of year I enjoy vetiver which to me is the smell of wet soil and rainy grass. You could blend a few drops with some lemon and lavender as well for a beautiful home fragrance. Apart from making the most of the heavenly light and reading new books, my kitchen has also gained a new rhythm. As both wild and cultivated greens start to grow more speedily every day, the kitchen has become a hub of activity. After a mornings forage with my toddler-as part of our morning nature walk, there is inevitably a basket of foraged goodies to explore later that day. Dandelion flowers to fritter or infuse. Their bitter greens, wild garlic or three cornered leek to sautéed and add to lunch. 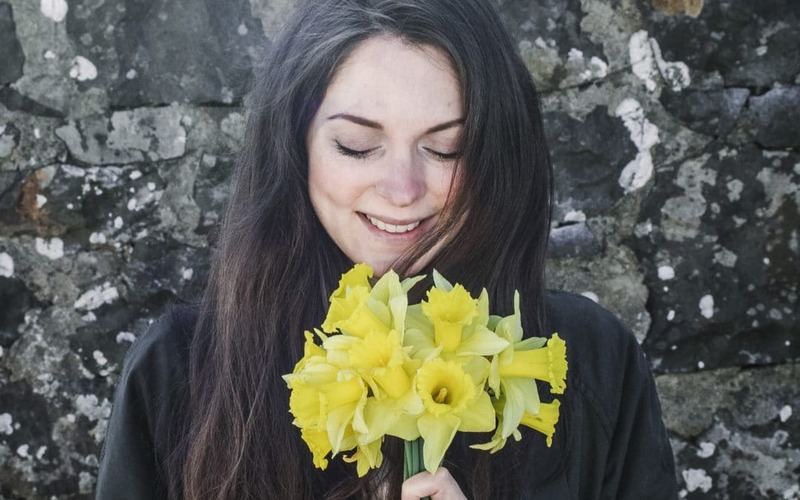 Cleavers and nettles make the perfect tonic and the first hawthorn leaves are strewn through salads which are then adorned with golden gorse flowers. Cakes simply beg to be crowned with cultivated primroses and I find myself planning slow days crystallising the pretty flowers with egg white and sugar in the hope to capture some of their simple beauty for a few days longer. The kitchen table is the hub of our family spring ritual-there is always at least one vase full of cut flowers-usually daffodils as they are everywhere but a handful of blossom, tulips, lilac or ranunculus would be welcome choices too. We still have our tapered beeswax candles on the table, ready to be lit for each meal to add some ritual and gratitude even if it’s while feeding a teething toddler! Some of our spring books find their way to the kitchen table too-usually Spring by Gerda Muller, a real favourite of Roos. Then there’s our box of seeds perched on the end, constantly being dipped into during the spring months- charlies seeds neatly sorted and mine bursting out from envelopes! Chaotic as always and rather like my sowing technique now I come to think of it!! My teapot is still home to a good breakfast blend but I am also loving a nettle tea in the morning during spring. It’s bitter but nutty flavour is very satisfying and I love knowing that I am drinking in all those amazing minerals and nutrients of nettle. A real local super food and perfect spring tonic! My baking has slowed down a little in contrast to winters constant need for a hot oven and warm biscuits but I still regularly give into a sponge cake. I love a seeded sponge at this time of year, filled with lemon curd and topped with flowers. A true celebration of this season! All the fresh spring growth also means it’s time for making some new remedies. Daisies are turned into a gentle bruise balm safe for Roo’s sensitive skin and perfect for rubbing onto bumped knees! Nettle is included in body scrubs and face masks as well as yummy bliss balls with honey and ground nuts and a little adaptogenic ashwaganda. Cleavers or sticky grass, with it’s cleansing and soothing properties is best used fresh so I’ve been freezing the juice for use in recipes throughout the year or popping it into a cold infusion to sip throughout the day. Apart from seasonal remedies I’ve been trying to sew a little more this year and have plans for a simple, ethical wardrobe for spring and summer this year. At the moment I am making an Ogden Cami by the indie pattern company True Bias in an organic blue gingham as well as a cotton Hinterland dress by Sew Liberated. It’ll probably take me rather a long time to complete them what with everything else on my plate at the moment but I do enjoy having a sewing project or two up my sleeve. Now that the chickens are laying regularly again a new spring ritual is going out to collect them with my toddler each morning. He loves seeing them nestled away in the straw and is so curious about the chickens too! We have three at the moment, a beautiful black speckled one called Tiggy, one that looks a like cockerel and lays white eggs and a retired ginger one which is called very simply Ginger. They’ve become so much happier since we entered spring and it really does make me so happy to see them enjoying the dappled sunshine while they rest in their dust baths. Winter up here in the North is an intense and testing time for plants and animals alike so Spring really couldn’t be more welcome for everyone! Even the chickens! We’ve also started putting our goats to grass on dry days. They are so delighted to be released from the barns and are really enjoying the special herbal grass mix that we sowed for them last year. The cows are still inside for a little longer but by the end of spring they too will be outside and enjoying that rich new grass. Apart from those small adjustments the farm’s main focus will be too get our farm shop and cafe open two days a week. Last year we opened in late summer and only on a Friday but this year have been opening on the Saturday too. This has meant more cooking and baking and meal planning but it’s been really exciting too! It really is one of my favourite jobs to sit down with a pen and paper and think up seasonal recipes.